In a previous post about my new book ‘Love Remember’, I mentioned that I had made a surprising discovery about the famous passage by Henry Scott Holland ‘Death is Nothing at All’. So I thought I would tell you something more about that, by sharing with you part of the introduction to Love, Remember, in which I discuss Scott holland’s ‘poem’ and its surprising original context. Now I must tread delicately, this oft-quoted passage may, quite understandably, be a favourite with some readers of this book, and I do not doubt, that it has brought comfort, real comfort, to thousands, for there is, or rather there can be, real truth in it. I too live in the Christian hope that we, and those whom we have loved and lost, will together see the final truth of these words of consolation. One day we will know that ‘life means all it ever meant’, we will look back from the glory of resurrection on death as a ‘negligible accident’ and rejoice to know that ‘all is well’. But that is not where we are when this passage is handed to us on a shiny card by the funeral director or even when it is read at the funeral. Taken by itself and on its own, so soon after the shock of bereavement, these ‘comforting’ words about life can paradoxically seem like a deadly lie. A ‘quick fix’ appearance of happiness that only makes the grieving feel guilty for their grief. It is the supreme and irrevocable disaster. It is the impossible, the incredible thing. Nothing leads up to it, nothing prepares for it. It simply traverses every line on which life runs, cutting across every hope on which life feeds, and every intention which gives life significance. It makes all we do here meaningless and empty. And he laments, as we all must if we are honest, how cruel and random it seems when death strikes. But how often it smites, without discrimination, as if it had no law! It makes its horrible breach in our gladness with careless and inhuman disregard of us. So the Scripture cried out long ago. So we cry in our angry protest, in our bitter anguish, as the ancient trouble reasserts its ancient tyranny over us today. It is man’s natural recoil. And the Word of God recognizes this and gives it vigorous expression. Our task is to deny neither judgement, but to combine both. The contrasted experiences are equally real, equally valid. How can they be reconciled? That is the question. The scriptural text of his sermon is 1 John, 3, 2-3. Belovèd, now are we the sons of God, and it doth not yet appear what we shall be: but we know that, when He shall appear we shall be like Him, for we shall see Him as He is. hid with Christ in God, we face death with the promises and the assurance of God. We are already his belovèd children and doth not yet appear what we shall be. As Scott-Holland says later in the sermon, ‘Already we are in Jesus; already we are of his body and yet it doth not year appear what we shall be’. And in the sermon he dwells compassionately on the ‘not yet’, for we are living in an ‘in between’ time, in one way still shadowed by death, in another lit by the promise of morning and resurrection. As I read through this remarkable sermon, so much began to make sense. The famous passage which had seemed to me a facile denial when I read it torn out of context, not only made more sense but gained much greater authority, trustworthiness and comfort set against these other passages of the sermon which gave such compassionate voice to our grief and fear. These ‘contrasted experiences’ were indeed ‘equally real, equally valid’ and could both be given expression fully and brought to Christ. So if we are agreed that it is a mistake to rush to the easy answer or the ‘quick fix’, and that the words of Henry Scott-Holland are weakened rather than strengthened by being separated from their context in a sermon that expresses pain as well as joy, how might we best restore the fullness, the range of experience and expression for all of us who have loved and lost? I hope that Love Remember will offer some help in restoring that full range of expression, in making the poetry of loving lamentation available in a new way. Love cannot help but remember, remembrance cannot help but weep. 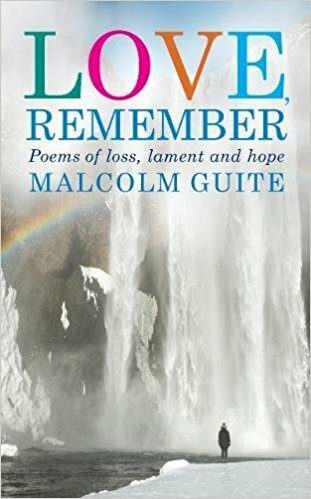 We yearn for trust, recovery and hope and hardly know whether and when and how to trust that hope, but perhaps the poetry in this book can help us as we feel our way forward. I so appreciate your discourse here and the hope of which you speak to us who believe.Whenever I read these words by Henry Scott- Holland I have trembled for those who do not believe, and for them it may not be as comfortable as this poem suggests, if I am to believe everything Jesus spoke about regarding heaven and hell and the importance of choosing, in our lifetime? It’s so good that you’ve put those words in their original context. Thank you!